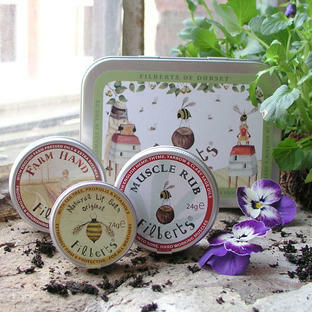 Rich and protective, best used on damp hands, this beeswax hand salve is highly concentrated. 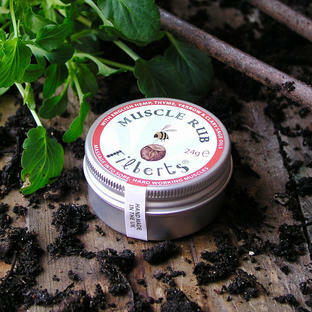 It locks in the moisture, to protect and nourish your hard working hands. 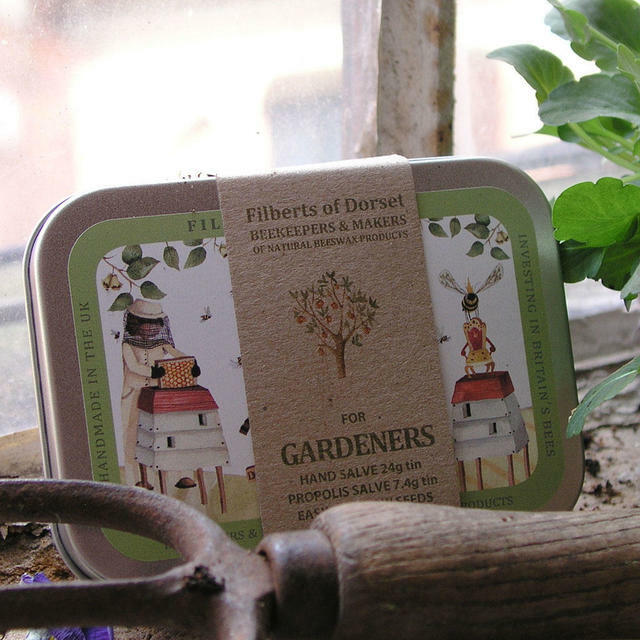 Blended with uplifting grapefruit and bergamot with healing rosemary and lavender. 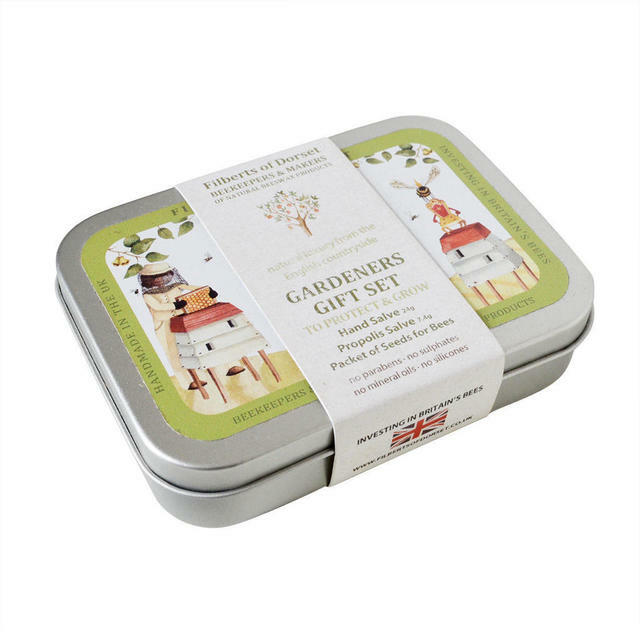 24g tin. 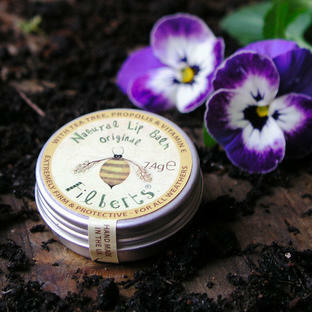 The gaffer tape of the bee world, propolis works just as hard at holding us together as it does hives. Long used by herbalists the world over and reputed for its healthy properties. 7.4g tin. These products are 100% natural and are handmade in the UK. 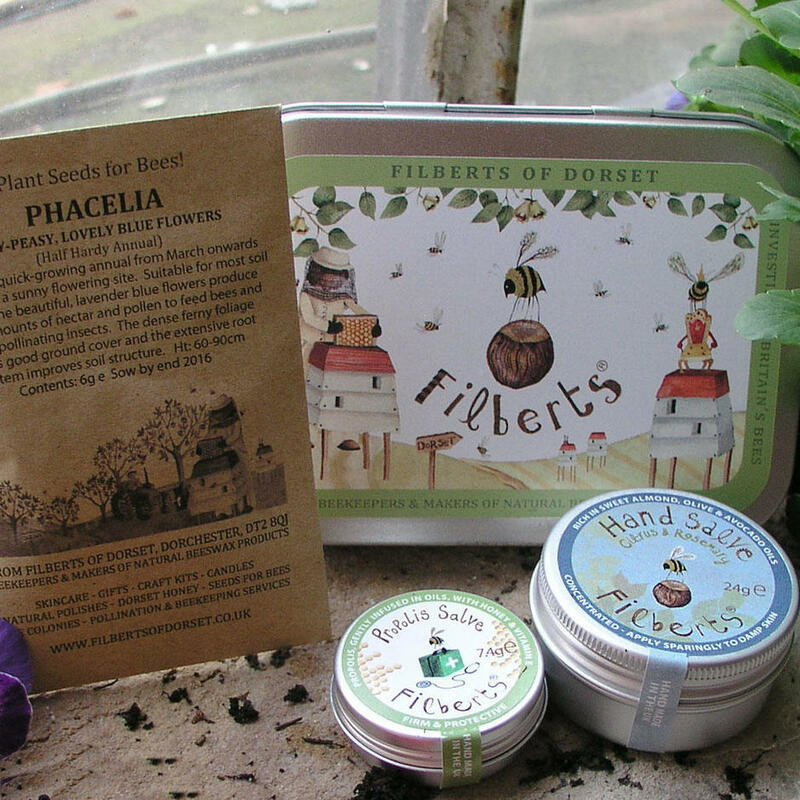 Also includes a pack of Phacelia seeds to sow and encourage pollinating insects and bees. 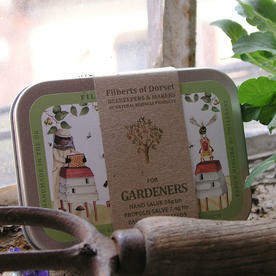 Use the gift tin to keep seeds gathered in the Autumn.